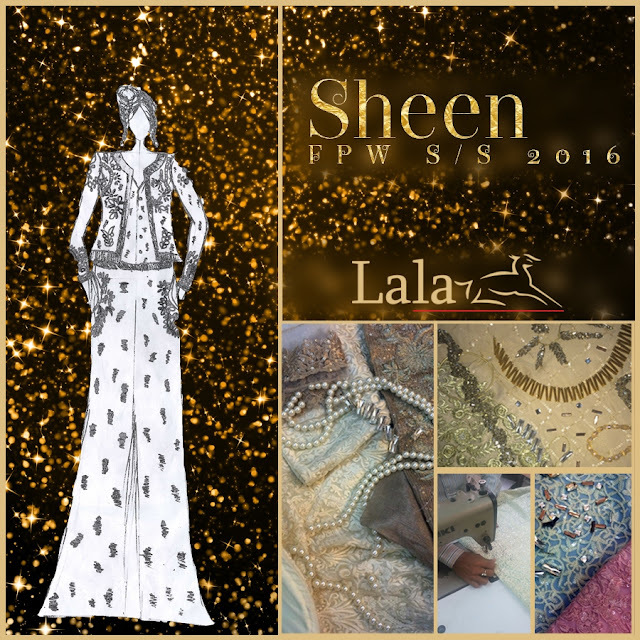 Press Release: LALA to introduce ‘SHEEN’ S/S ’16 at Fashion Pakistan Week 2016...!!! With the introduction of the brand flagship outlet in Karachi in February 2016, leading textile brand LALA is set to introduce their latest edition of fabric, print and embroideries ‘SHEEN’ at Fashion Pakistan Week 2016. Indeed, with LALA’s expansion into the lifestyle and the entertainment industry through their alliance with Lollywood film BACHAANA; ‘SHEEN’ represents a fusion of western and eastern cuts in 16 designs. Inspired by shimmer and all that glitters; ‘SHEEN’ embodies the use of the finest fabrics in hues of gold accompanied by signature stones embellishments and sequences of Zari embroidery interpreted across a range of silhouettes. LALA has today grown to encompass diverse retail brands providing accessible summer; midsummer and winter fabric ranges. Today, with their multiple decades of seasoned experience, Lala continues to provide quality material through custom prints throughout the year that are available at their Flagship Store in Karachi as well as leading stockists across Pakistan. With exponentially reach within Pakistan, India, Bangladesh, the Middle East and the UK, LALA brand is best known for their seasoned experience in manufactured, producing and retailing quality textile with a commitment to principled trade. A socially conscious and responsible brand, LALA currently sponsors vocational training programmes across the Sub-Continent under their #LALALightsUpLives project. LALA’s Flagship Retail Store address: Outlet#300, 3rd Floor, Ocean Mall, Clifton, Karachi. Stage Line X-FIX LIPS come in glass tube packaging with matte black lids. These tubes also come with a greyish silver Stage Line Signature cardboard outer box. The tube is pretty big in size and contains 6ml of product inside. The size and shape of the tube reminds me of ColourPop UltraMatte Lip Colors. The number of each shade is written on bottom of the tube. 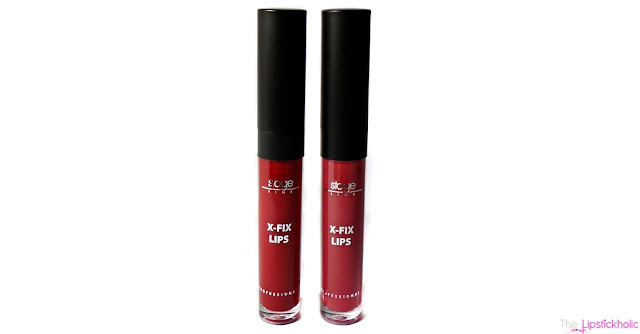 Overall the packaging of these X-FIX LIPS is really sleek and there is sufficient quantity of product inside which is a huge plus. 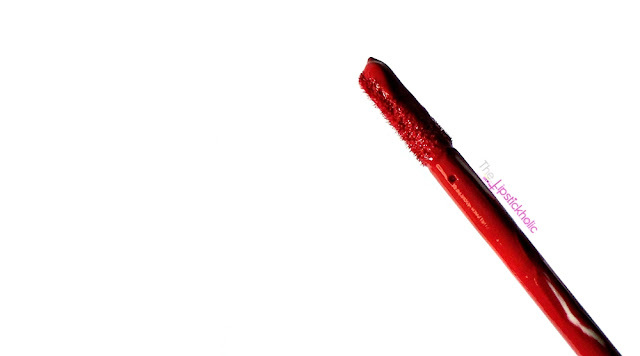 Stage Line X-FIX LIPS have very thin and watery consistency. Yet the lip color applies really easily and dries quickly to a nice matte finish. These X-FIX LIPS are super pigmented and provide opaque coverage with just one coat. The formula of X-FIX LIPS is not at all drying. It feels very light-weight and comfortable to wear. In fact, I can say that these are one of the most comfortable feeling liquid lipsticks that I have ever tried. These X-FIX LIPS do not accentuate fine lines or lip cracks. I love the formula, feel and finish of these X-FIX LIPS liquid lipsticks. The shades that am reviewing are number "04" and "06". The names of the shades are not written on the packaging and tube. However as per the website and Facebook page, the names of shade "04" and "06" are "Carmine Pink" and "Rouge". Both the shades are highly pigmented. Shade 04-Carmine Pink is a bright coral pinkish shade. The shade looks almost reddish coral in indoor lighting and appears as a subtle coral pink shade in day light. Shade 06-Rouge is a gorgeous blue based red shade. It looks much deeper in indoor light. I love both the shades and have been wearing them quite a lot lately. The staying power of these X-FIX LIPS liquid lipsticks is really impressive and these stay on my lips almost all day long and I have to remove these from the lips myself at the end of the day. These even last me through meals which makes them perfect for formal dinners and other occasions. However, by the end of the day, these slightly tend to transfer upon eating or drinking. But this is nothing too bothersome and I must say am really impressed with the longevity of these liquid lipsticks. To sum it up I would say Stage Line X-FIX LIPS long lasting liquid lipsticks have surely won my heart. From formula, to finish and staying power, I love everything about these X-FIX LIPS. The product quantity for the price is really sufficient. I can clearly say that I have found my new favorite locally available liquid lipsticks and am definitely going to pick more colors from this range soon. All matte liquid lipstick lovers out there should definitely check these out. Review: Beauty UK Sweet Cheeks No.3 Strawberry Jelly...!!! Hope your week is off to a super great start. Beauty UK Cosmetics launched some amazing new products recently. The new launches by Beauty UK also include Sweet Cheeks Blusher Sticks. These blusher sticks claim to have unique formula and contain Shea Butter, Vitamin C and Jojoba Oil that helps maintaining a healthy complexion. Today am reviewing Beauty UK Sweet Cheeks Blush Stick in No 3, Strawberry Jelly. So let's get to the review and see what do I think of this new blush stick by Beauty UK Cosmetics. Beauty UK Sweet Cheeks comes in form of cute twistable chubby stick. These sticks are really chubby and there is a lot of quantity of blusher inside. It is convenient to keep in your purse or carry around with you. However you need to be careful with the cap as it can open easily and cause mess in purse/bag. This is the first time I have tried any blush stick and I must say this is really easy to use. The twisting mechanism of this blush stick makes it easier to apply and use. Overall, I find the packaging of these sweet cheeks really cute. Now coming towards the formula and finish of this sweet cheeks blusher. This Beauty UK Sweet Cheeks Blusher has light-weight, creamy texture that is easier to apply and blend. It can easily be blended with fingers or a stippling brush. 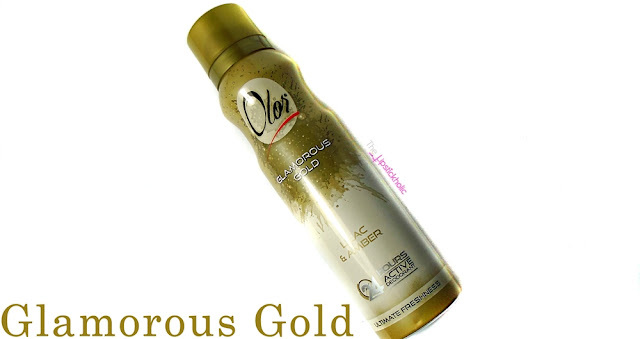 It's airy texture feels very light-weight and provides a natural looking finish once blended. 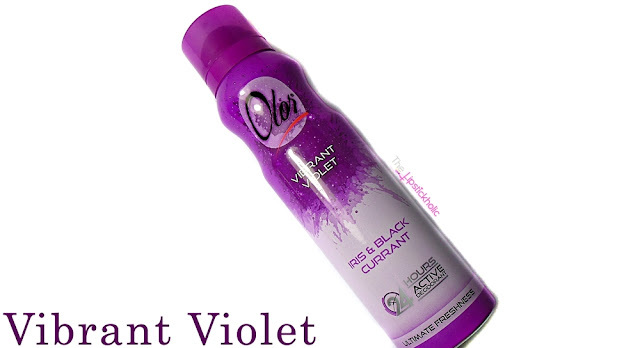 It does not feel drying and does not feel sticky or oily either. It adds a natural and pretty flush of color to the cheeks. The formula, feel and finish of this blush stick is different than all the blushers that I have in my collection and I really like it. The shade that am reviewing is number 3, strawberry jelly. It is a very pretty peachy pink shade. The pigmentation of this sweet cheek blusher stick is really good. You only need a little amount of product to add a nice flush of color to your cheeks. The staying power of this blush stick is really impressive too and it stays almost all day long and fades evenly. All in all, am in love with the formula, feel and finish of this sweet cheeks blusher. 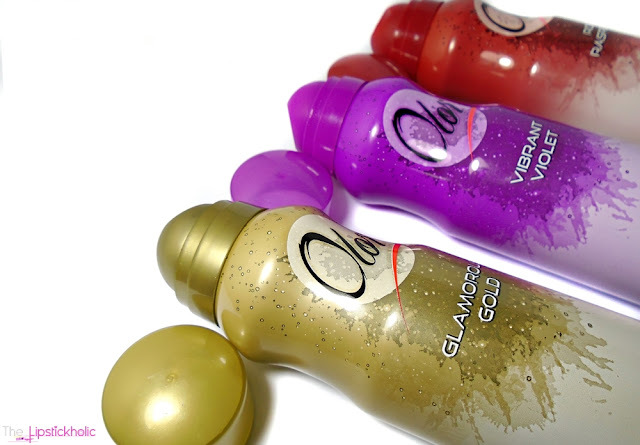 It has a really nice, light-weight formula that feels like air and blends effortlessly even with fingers. It neither feels drying nor feels sticky like most of cream or stick blushers. It adds a nice flush of color to the cheeks that stays almost all day long. I think these sweet cheeks blushers are surely something unique and amazing and I definitely recommend you to try these. Price & Availability: Beauty UK Sweet Cheeks Blushers are available at all leading cosmetics/drug stores for Rs 840/- each. Also available online at Just4girls. Luscious Cosmetics announces the launch of their Camera Stick Foundation and Camera Powder available online and across retailers. 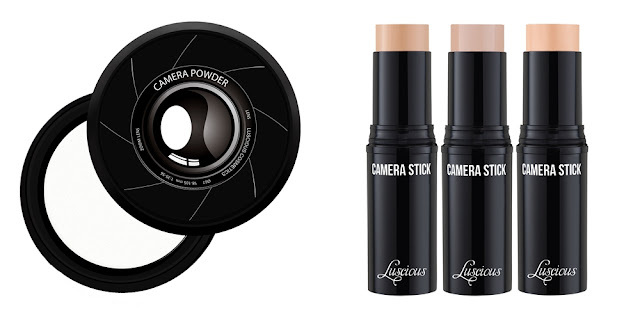 Designed for the modern age HD camera’s and trend of taking selfies, the Luscious Cosmetics Camera Stick Foundation and Camera Powder has been inspired by the expertise of Hollywood makeup artists for that perfect airbrushed finish. The Camera Stick Foundation has been developed as a creamy and easy-to-blend, full coverage foundation that melts onto the skin for extraordinary airbrushed results. It has the ability to cover all blemishes and imperfections with photo-filter pigments, creating a complexion fit for the silver screen. The Camera Powder is a multitasking, invisible setting powder that perfectly sets makeup for long-lasting results and is suitable for all skin types and skin tones. The lightweight and ultrafine formula creates a soft-focus effect, diminishing fine lines, pores and imperfections to create a radiant complexion. 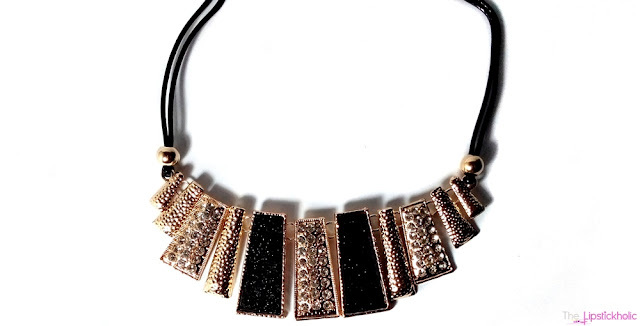 This time I got this beautiful leather string irregular geometric pattern necklace. It is so beautiful and I can already tell you am in love with it. It reminds me of old Egyptian jewellery. The black and antique gold combination is awesome. I will be featuring this in my looks and will be wearing this at different occasions quite a lot. Then comes this silver rhinestones bracelet. 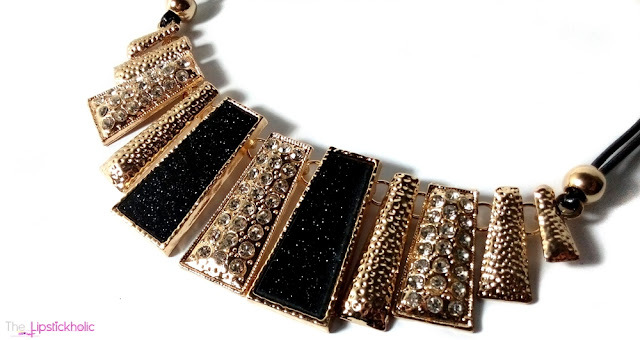 This is absolutely gorgeous and perfect for occasions where you want to add some bling to your look. The color of bracelet hasn't faded so far which is a huge plus. I like it a lot. Another of my favorite pieces. I had been wanting to buy a similar knuckle ring and luckily found it at Born Pretty Store Fashion & Accessories. 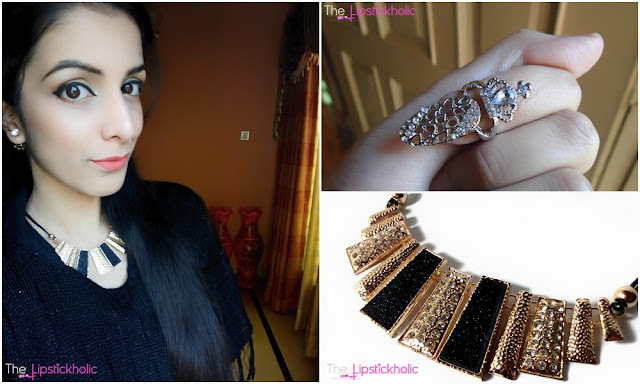 Its a unique addition to my jewellery collection. It looks so classy when worn and I really love it. And lastly I got these cute looking red lips ear studs. I am so in love with these. These are exactly what a LIPSTICKHOLIC needs. I love pairing these with my Red Lips Ring that I got from Born Pretty Store. Another cute and unique addition to be jewellery collection. Overall, I love all the items that I got this time. I am so in love with the Leather String Necklace and Crown Tip Finger Knuckle Ring. The red lips ear studs are really cute too. The quality of jewellery is really nice. 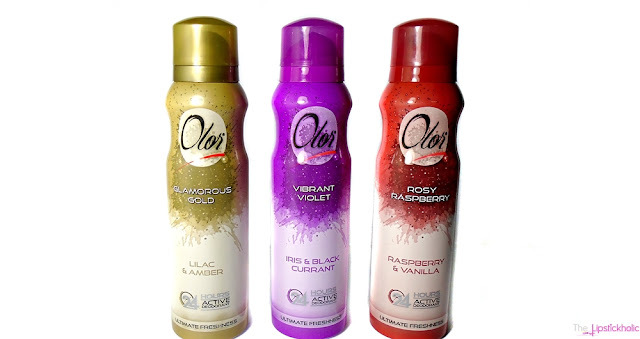 I didn't experience any breakage or color fading with these. If you haven't checked out Born Pretty Store yet then you should definitely visit the site now. Am sure you will love their collection. Price & Availability: These jewellery items are available at Born Pretty Store under their Jewelry & Accessories section. Prices are mentioned in the post. 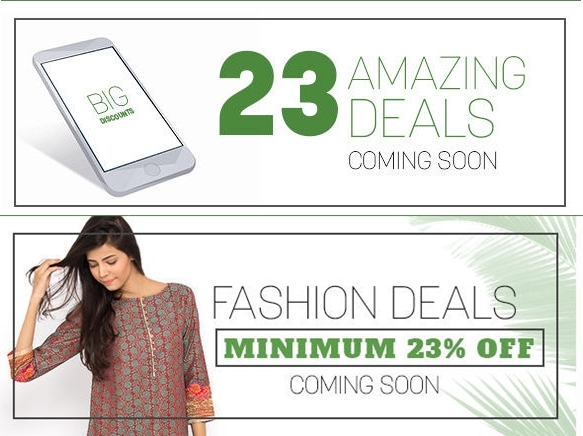 Press Release: Nishat Linen unveils their Summer Collection ’16 in Karachi...!!! 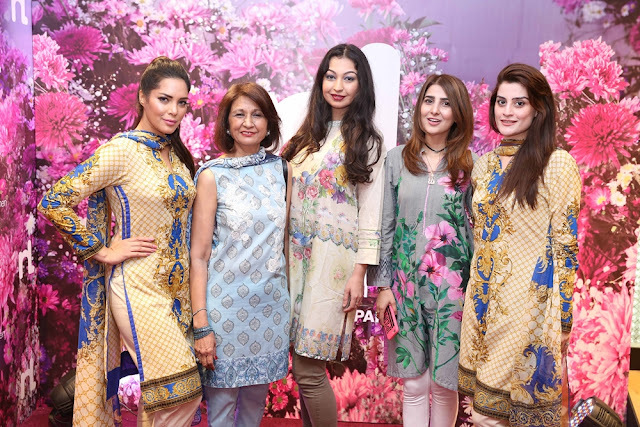 Nishat Linen, one of the biggest textile and home fashion retail chains in Pakistan, hosted an exclusive launch event for their much awaited Summer Collection 2016 in Karachi at their outlet located at Dolmen Mall Clifton. 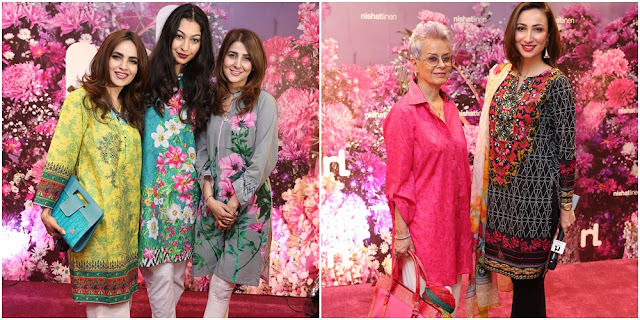 The launch was attended by well-known Karachi socialites, fashion and media fraternity including Maheen Khan, Rubya Chaudhry, Areeba Habib, Fauzia Aman, Amna Malik, Ruby Shakeel, Neelo Munaf, Humaira Asghar, Saira Saigal, Zainab Chottani, Mahvish Hasan, Tara Uzra Dawood, and Zahraa Saifullah to name a few. Featuring three piece suits with printed chiffon dupattas in charmeuse, crinkle, bemberg and silk giving off the vibe of ultra-feminine silhouettes and fluidity while the 100% cotton shirts and trousers are the perfect fabrics to be worn in the upcoming weather. The right combination of chic, elegance and finesse, this collection is just the right blend for the woman of Pakistan who knows how to carry it right. Nishat Linen is focused on providing fashion conscious individuals with premium quality fabrics paired with the trendiest of designs each season at an affordable price and fulfills the fashion needs of every woman who wants to look good. 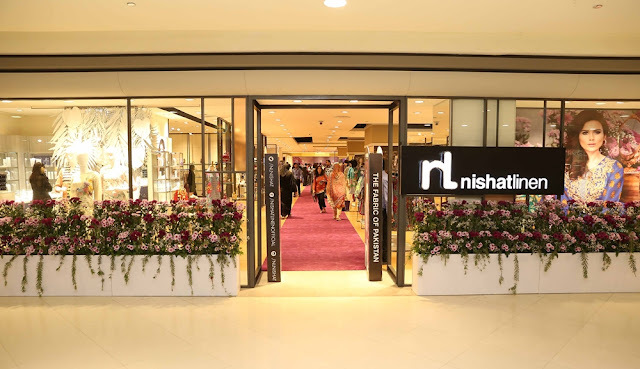 Nishat Linen is one of the biggest textile and home fashion retail chains in Pakistan that has redefined the industry with acute attention paid to quality, design and affordability. 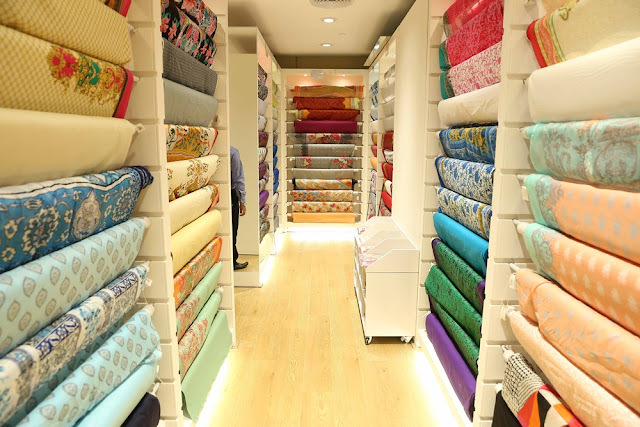 Having an online store as well as more than 70 outlets in 29 cities and expanding in Pakistan, Nishat Linen boasts of an international retail presence in Dubai, Abu Dhabi, Saudi Arabia, Canada, UK and now USA too. Nishat Linen is accessible to all and it always promises to be the first with new trends, Nishat Linen has won a legion of loyal fans and has a growing international presence. Renowned for its iconic dresses and signature prints, Nishat Linen has expanded to a full collection of ready-to-wear and unstitched clothing, home linen as well as accessories including shoes, handbags, small leather goods, scarves, and jewelry.